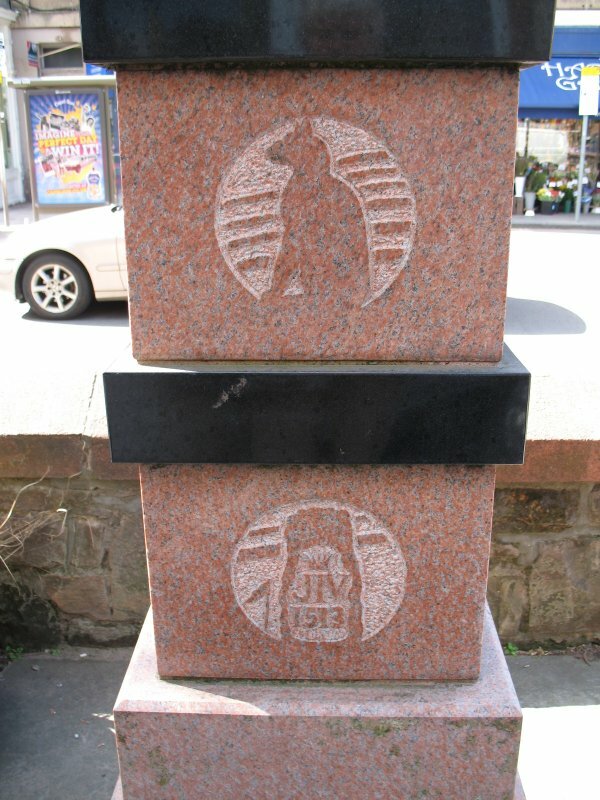 View of Church Hill Milestones. ARCHITECT: Hippolyte J Blanc, 1892. Converted to Church Hill Theatre 1962-5. 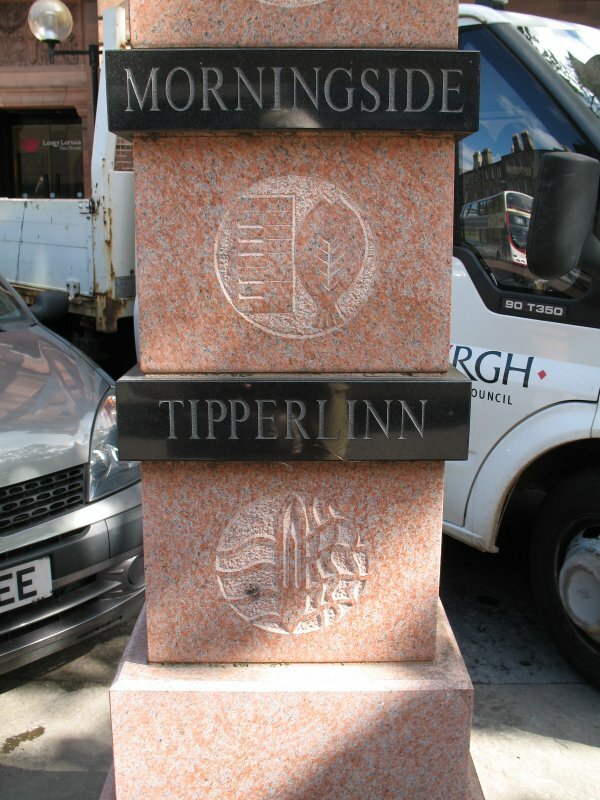 A pair of square pillars comprising a stepped plinth supporting alternating blocks of pink and black granite, surmounted by a bronze inverted cone and sphere. 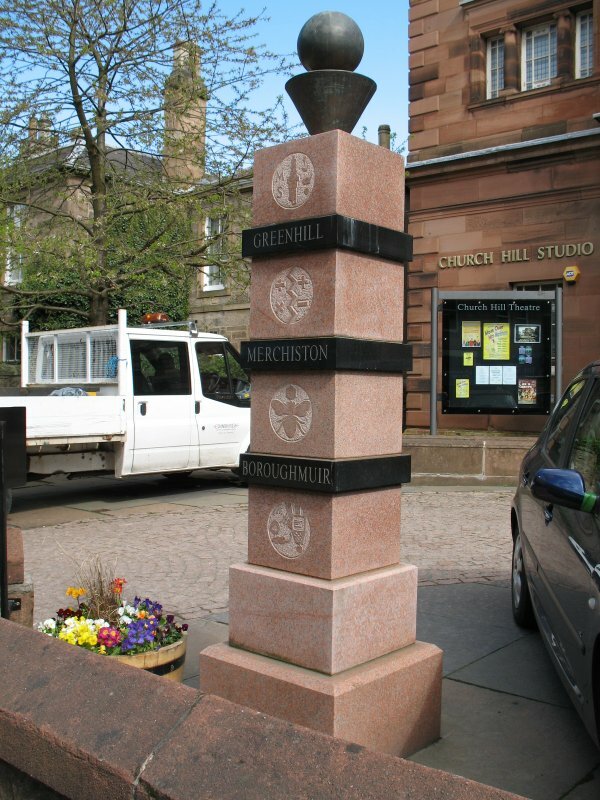 Each pink granite block has a circular carving on two sides reflecting local life and events, whilst the smaller black granite blocks are inscribed on one side with the names of local areas and villages. 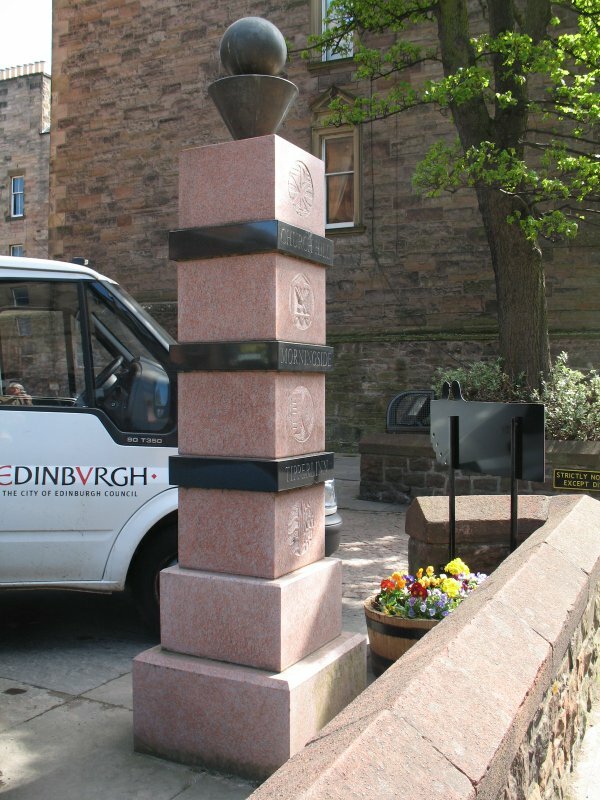 The Church Hill Theatre forecourt was upgraded in 1994 and a sum of money was set aside to commission a work of art in accordance with Edinburgh District Council's support for the arts. (Known as the "Percent for Art Scheme" in which money for artwork was included in budgets for any new building or upgrading work). 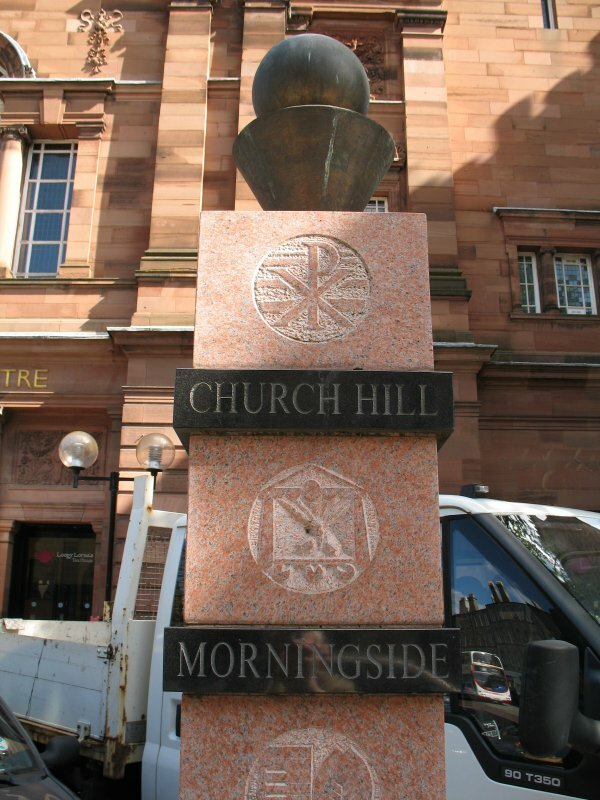 Following a public meeting at the Theatre in November 1994, Gail Boardman of the Milestone Project outlined various options and subsequently invited those organisations in attendance to form the Church Hill Theatre Public Arts Group (formed specifically for the duration of the project and now disbanded) in partnership with Edinburgh District Council. 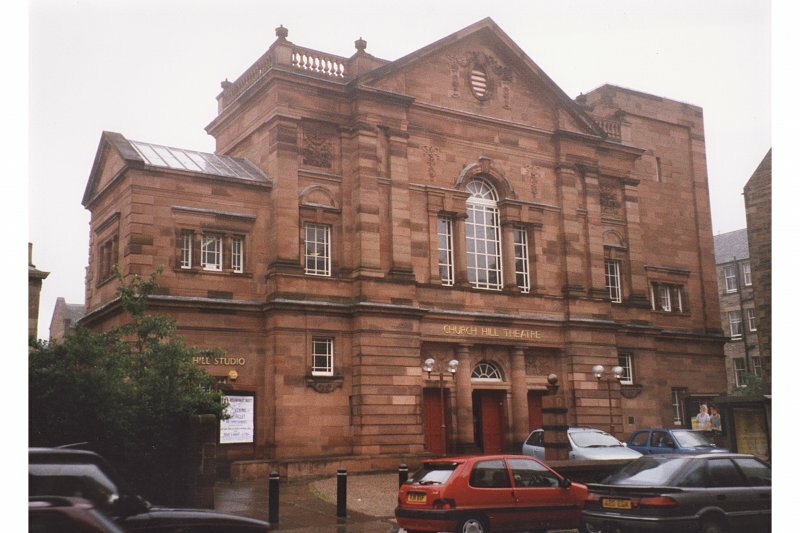 The Church Hill Theatre Public Arts Group met for the first time in December 1994 and, following a selection process, commissioned Kenny Munro in February 1995. 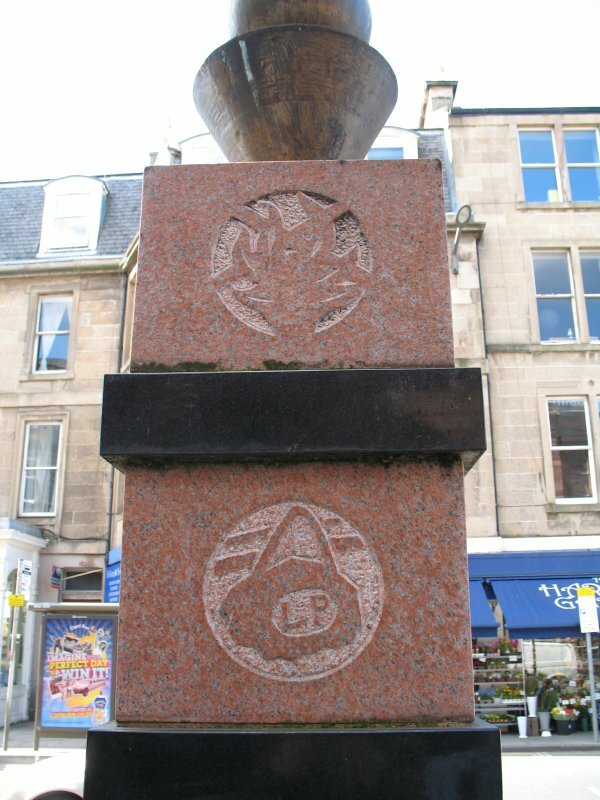 The unveiling ceremony took place in August 1996. 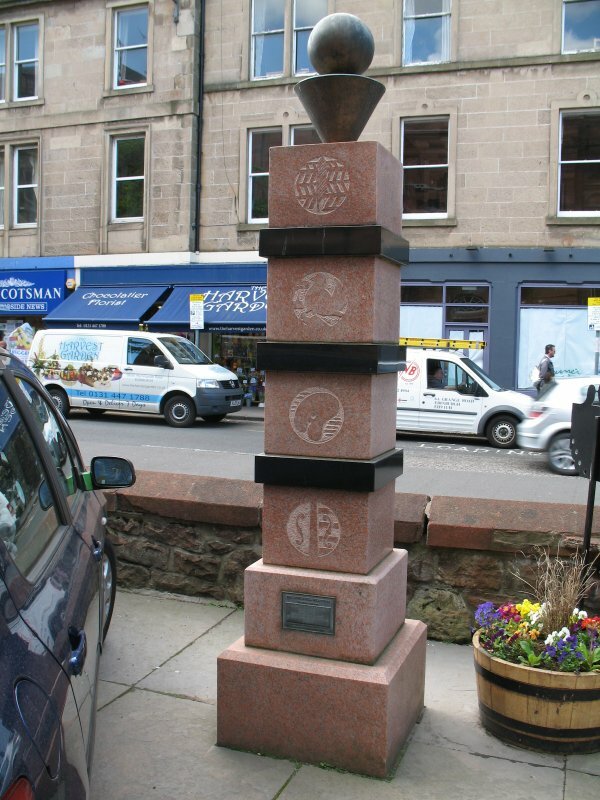 (2) The 'Drunken doo' (dove) refers to the occasion of John Napier preventing his neighbours' doos stealing his corn.